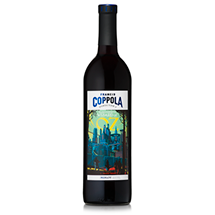 Director’s wines were created to honor Francis Ford Coppola’s two great loves: wine and film. 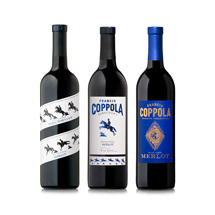 As we reach our 10-year anniversary of producing these wines, we thought it apropos to commemorate this milestone with a line-up of limited edition wines inspired by directors and movies that Francis holds in greatest admiration. These wines feature on the labels reproductions of retro-futuristic movie posters by Laurent Durieux, an artist much admired by Coppola. 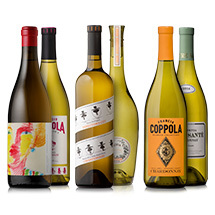 These wines are set apart from our original Director’s wines. They are different blends that feature fruit sourced not just from Sonoma County, but Monterey, Paso Robles, San Luis Obispo as well. By blending fruit from two appellations, we’re able to create wines with expressive textural dimension and lush, juicy fruit flavors. 2015 delivered the fourth consecutive season of exceptional fruit quality in California. The year also saw an early harvest due to warm spring conditions and very light rain throughout the year. These conditions reduced the crop size, which in turn contributed to highly concentrated fruit. Wizard of Oz Merlot features grapes from Sonoma and Monterey, two very different climates, each adding very specific traits to the blend—lush, juicy red flavors and texture from Sonoma with black fruits, structure and density coming from Monterey. This beautiful 2015 Merlot drinks with concentrated complexity. With an intensely perfumed nose of boysenberries, cherries and cloves touched by a spiced shortbread note, the aromas are consistent with its vivacious flavor expressions. 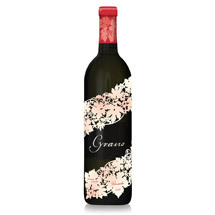 Silky in texture and juicy on the palate, there are rich notes of raspberries, mocha and gingerbread that enliven the long, toasted oak finish. Whether you’re in Kansas enjoying hickory barbecue or someplace altogether different, this very versatile Wizard of Oz Merlot pairs well with robust meat dishes, creamy vegetables and smoked cheeses.